Abu Dhabi: The battle lines are drawn and you have limited time to conquer your opponent. This nail biting finale of the Game of Thrones (and many other board games) can be experienced live every Saturday and Wednesday at the Market Place in New York University Abu Dhabi (NYUAD), Saadiyat Island. You can reprise the role of rich Uncle Penny Bags from Monopoly, cultivate a farm in Agricola or be one of the Power Rangers – all in one night. 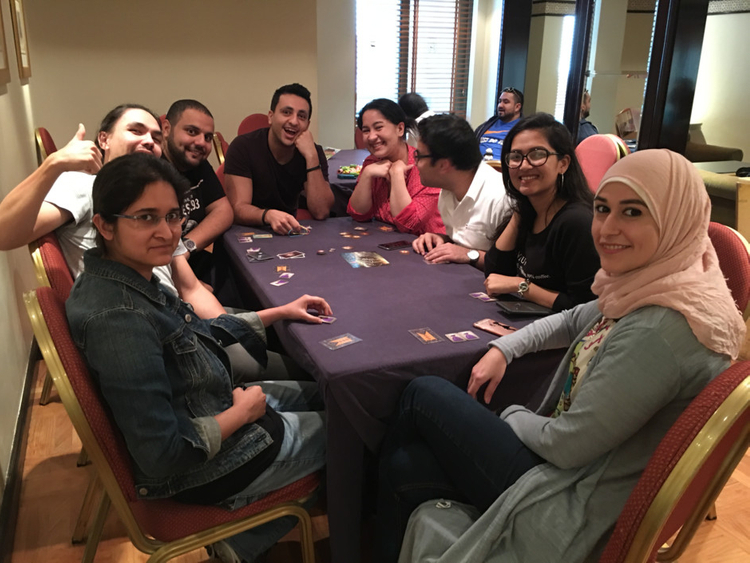 The Tabletop Community Abu Dhabi, formed early this year, consists of an eclectic group of millennials who wish to bring back communities where members interact face-to-face. Its founder, Filipina Jacelie Alvarez, modelled it after a similar successful group in Dubai, as she felt the need to unplug from gadgets and make actual friends. 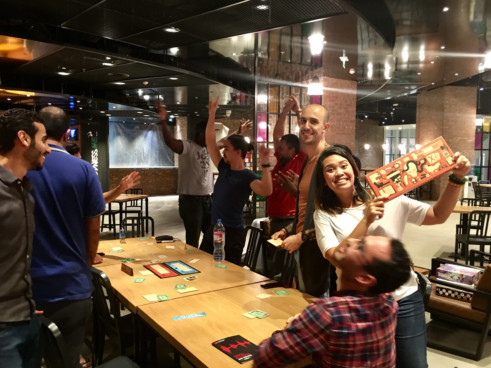 Though the majority of games played are on the board, the members also indulge in cards and role-playing games, with a two-hour session sometimes lasting late into the night. Soon her Facebook page had more than 140 interested people and the games began. “Our group members are forever young at heart and a curious lot who are inspired by a desire for learning and fun. Every game gives you an idea of people’s character: the way they deal with a crisis, handle a defeat or celebrate a win. “There is no hidden agenda in the group. We offer free entry as we do not seek to monetise this community. The only thing we want to achieve is playmates,” says Alvarez. On game night, if you happen to be a guest, you will be welcomed by a group of friendly people who will introduce you to a plethora of games. Cooperative games like Pandemic allow players to work together in order to achieve a goal while others like Monopoly pit the players against each other. Within these two categories you have European games like Catan, which are huge on engine building where you improve your own faction in order to get victory points. American games focus on combat and thematic value with Blood Rage and Game of Thrones being the favourites. The community chooses a good balance of these games every game night. Jacelie’s personal collection has over 30 games and expansions. There are around 15 regular players and more than 40 who drop in, on and off. Another gamer, American Shaari Ladue, agrees. “You get to learn a lot about the people you are playing with and have a great time in the process. We grow with each person who takes a chance and tries something new,” says Ladue. People can join in or simply pick up a game where someone left off. “Sometimes people refuse to leave. Once we played until 2am and then remembered we had to go to work the next day,” says Alvarez who is an event manager.